WARNING: Books in the “SEAL Team 14” Series are for mature audiences only. They depict adult situations, realistic violence, and may contain adult language and sexual situations. A wickedly intelligent U.S. Navy SEAL, a strong-willed Latina news reporter, the CIA, the FSB, a rogue terror cell, a murdered youth, and a high-ranking U.S. official . . . hop on for the ride that is PUSHED. The U.S.-Afghanistan War has ended, a new Islamic jihadist terrorist cell has formed, and U.S. Navy SEAL Joshua Laurent and his teammates are racing against the clock to stop a bioterrorist attack on U.S. soil. When Joshua’s ex-girlfriend, newspaper reporter Victoria Sanchez, stumbles upon a dangerous web of drugs and money involving a former U.S. Congressman, the two are reunited once again as they attempt to stop the unthinkable. 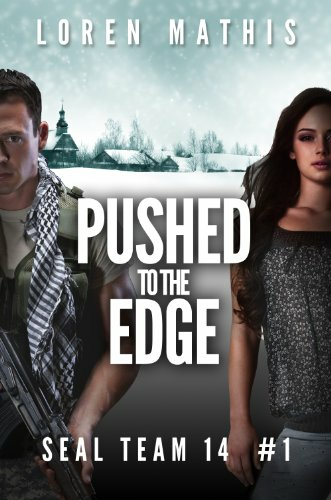 PUSHED TO THE EDGE is a fast-paced 80,000+ word multi-cultural, contemporary military romance novel that is set in the Middle East, Eastern Europe, and the United States. Pushed to the Edge © 2013 Loren Mathis. All Rights Reserved. 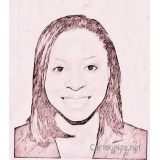 Check out my Official Author Page at loren-mathis.com for further details. Follow me on Twitter: @LorenMathis7. Sign-up for my newsletter on my Official Author Page for a FREE sneak preview of SWIFT STRIKE, the second novel in the "SEAL Team 14" Series.